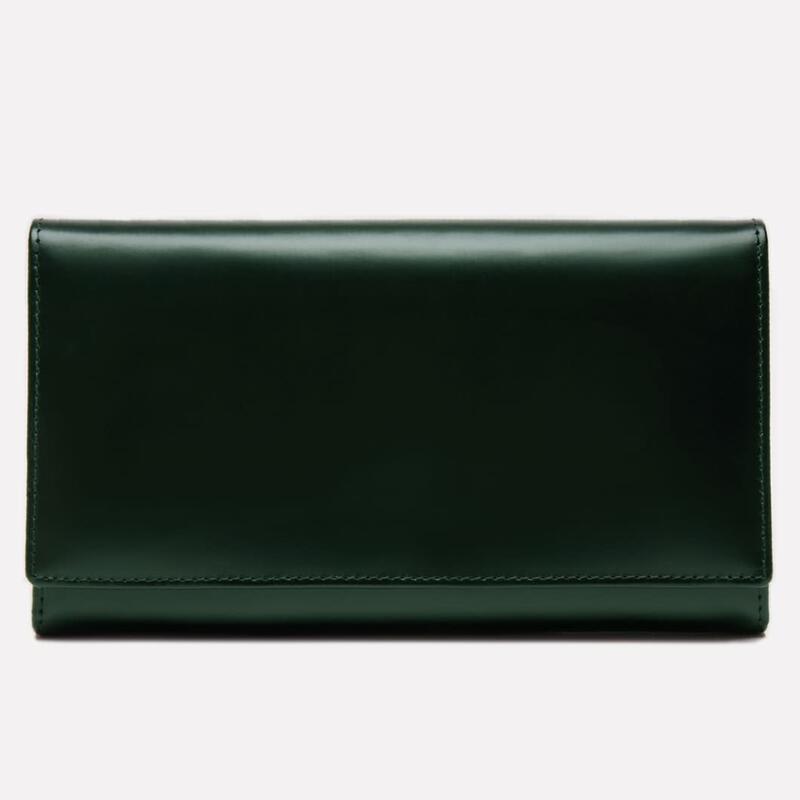 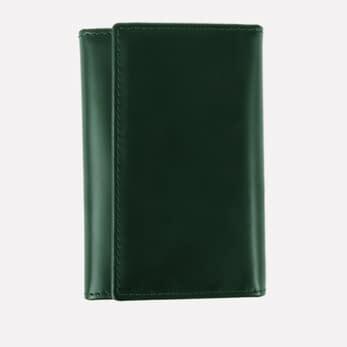 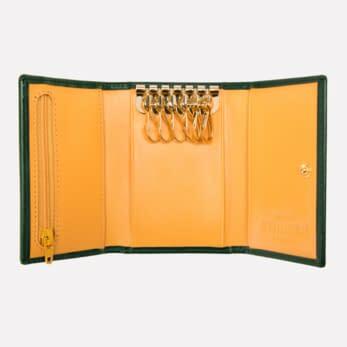 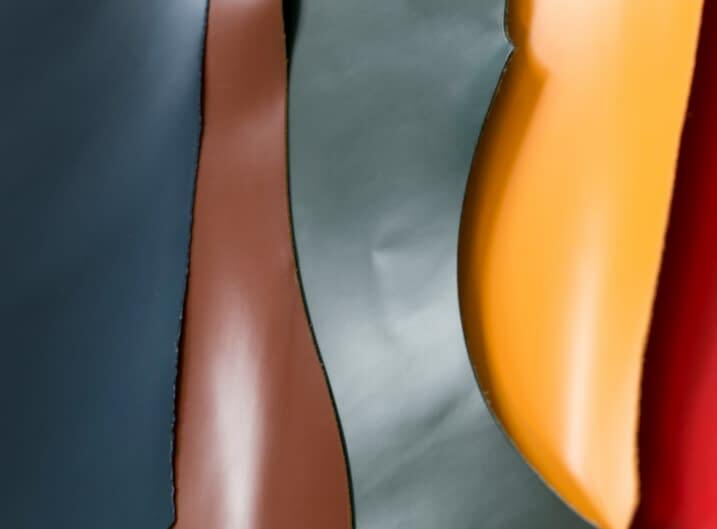 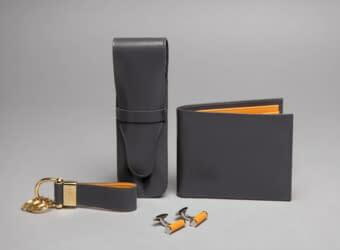 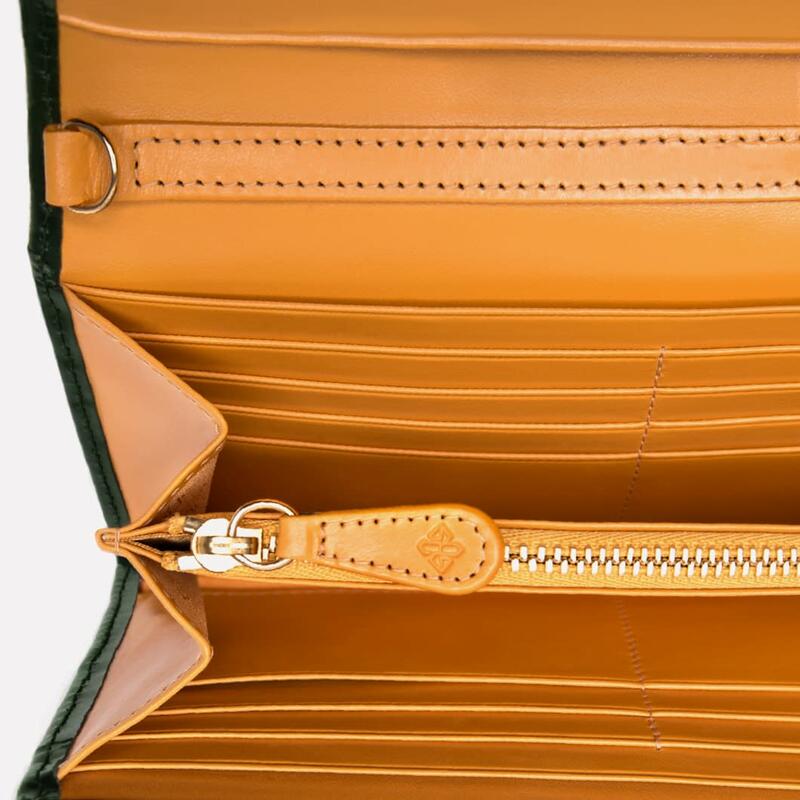 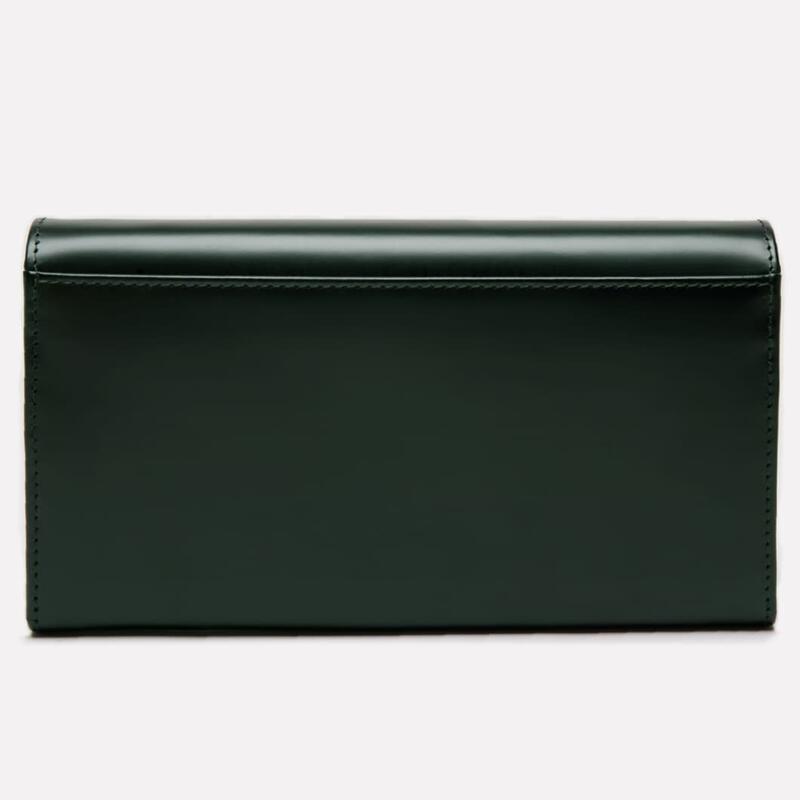 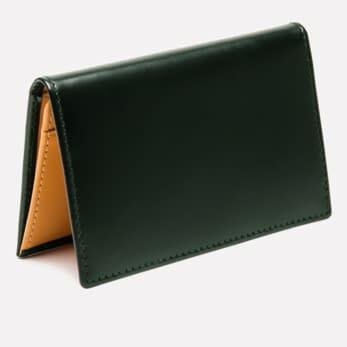 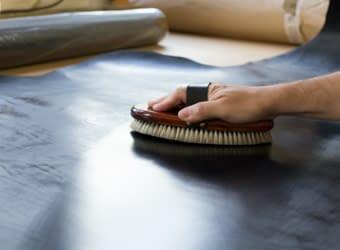 Our Bridle Hide Collection could not be complete without the English Racing Green. 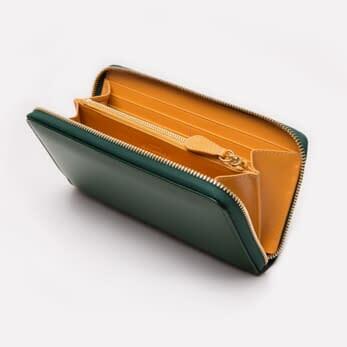 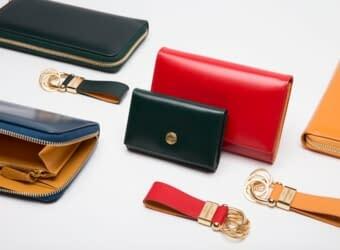 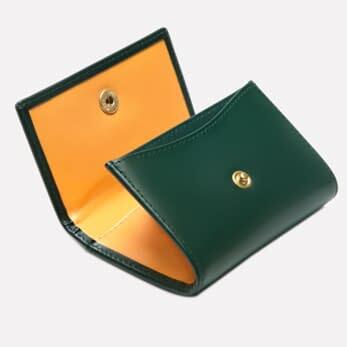 Deep green exterior with a flash of gold yellow on the sides, is a beautiful Spring / Summer purse. 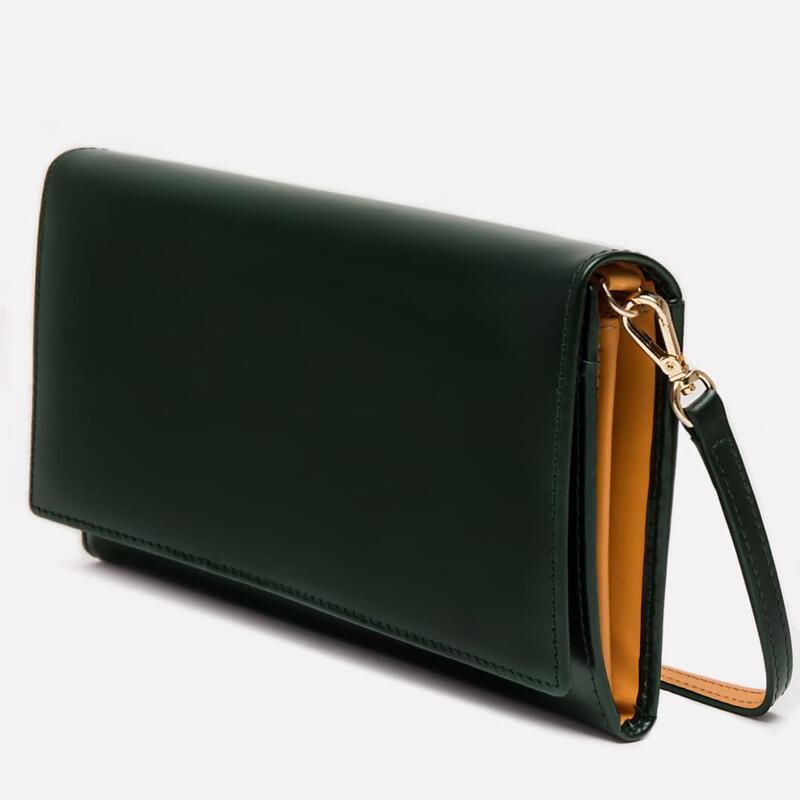 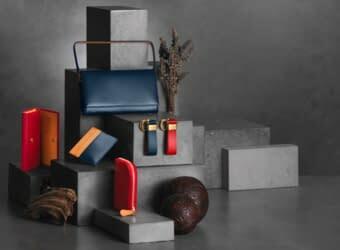 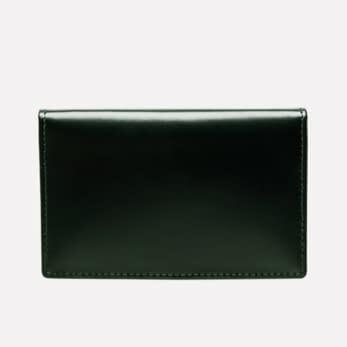 This purse fits everything from notes and cards to slim phones, small set of keys and passports, making it an incredibly multifunctional item to be used as an everyday item, a travel wallet or as a small clutch. 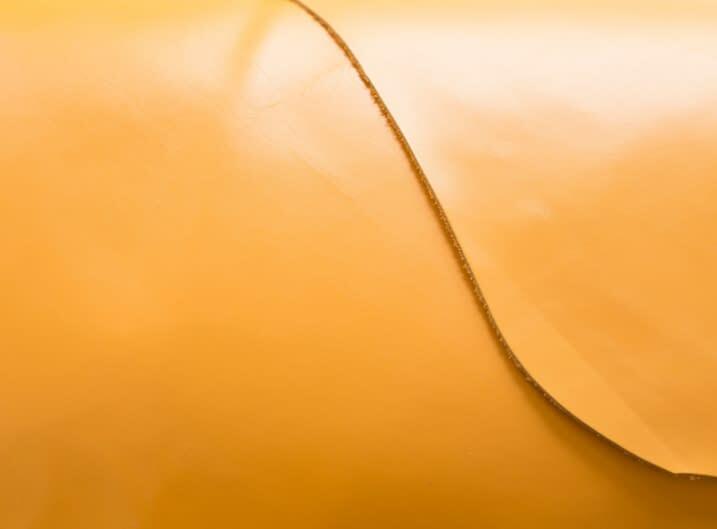 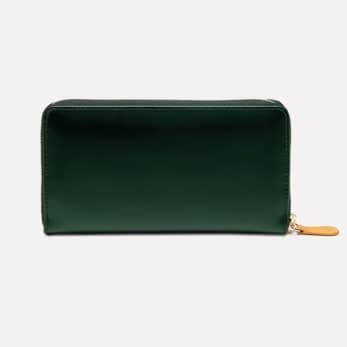 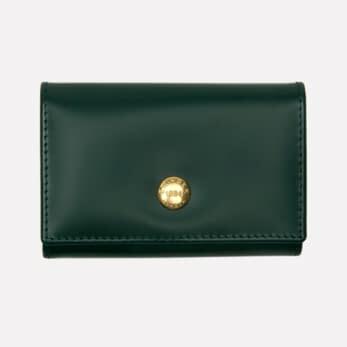 The flap-over comes with a detachable strap that has a hidden flash on yellow on the inside and green on the exterior, the strap can be worn as a wristlet, or as a small handle.